To help insure a bright future for your children, you need to get them into a prep school with a good name. There's no better name than Rosslyn. 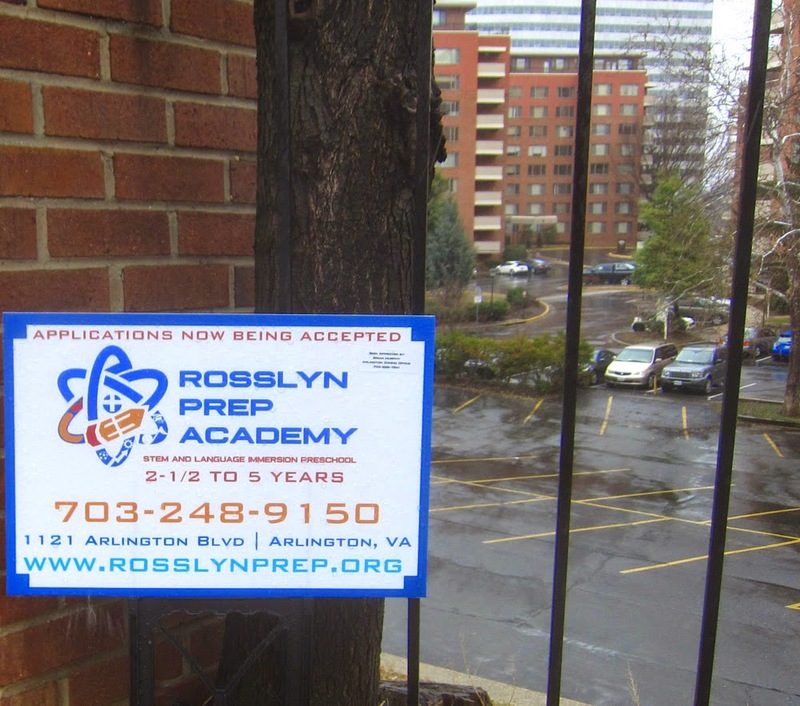 So why not try to get your children a spot in the Rosslyn Prep Academy? It's now accepting applications from students ages 2.5 to 5 years old. Rosslyn Prep offers a STEM (Science, Technology, Engineering, and Mathematics) Program and a Mandarin Immersion Program. It also has an Infant and Toddler Nursery. Rosslyn Prep is located right near downtown Rosslyn. Credentials are a key to success in the new economy. Rosslyn Prep may become a major entryway for future Rosslyn leaders.